Do you have a loan being serviced by Great Lakes? Great Lakes Higher Education Corporation is one of the largest loan servicers in the country. (The other big ones are FedLoan, Navient, and Nelnet.) Great Lakes is responsible for handling payments for millions of borrowers with student loans issued by the Department of Education as well as borrowers with private student loans. 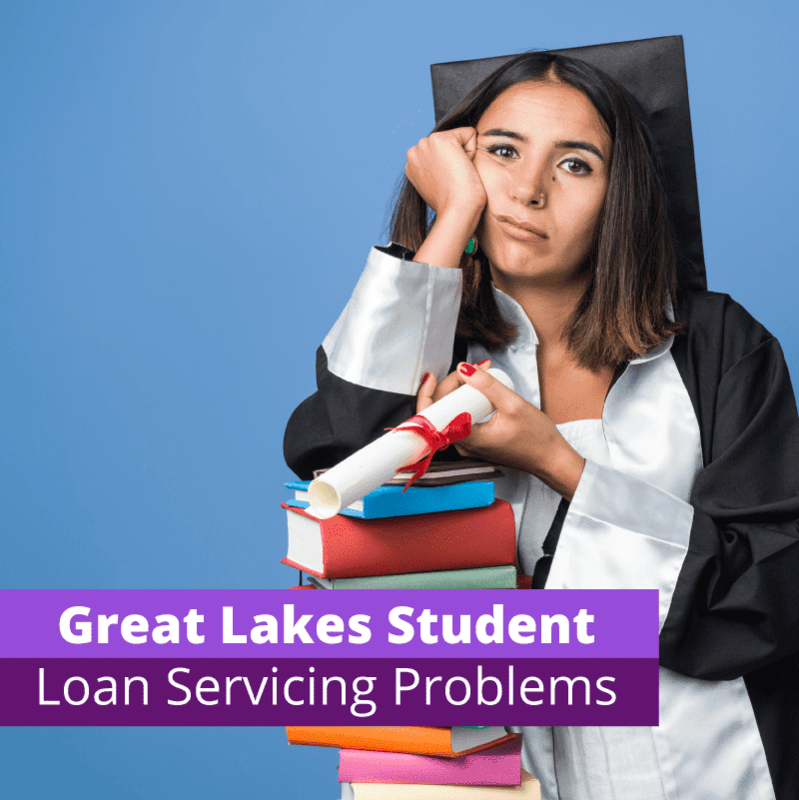 Though Great Lakes is a nonprofit and a major player in the student loan industry, they aren’t immune to consumer complaints about their practices. Despite a Better Business Bureau rating of A+, they have a high number of complaints on the BBB website. Consumer complaints are also numerous on Consumer Affairs as well as the Consumer Financial Protection Bureau website. Great Lakes’ motto is “Doing what’s right.” But are they? We’ve taken a look at some of the publicly posted complaints and noticed trends in the questionable practices of Great Lakes. Here are complaints about Great Lakes Student Loan Servicing that stood out to us. If you know you want to leave Great Lakes and are considering refinancing, check out Credible here and find the lowest rate today. If you refinance with Credible you can get a bonus of up to $1,000. Check out the other best places to refinance your loans here. Paying ahead or extra on your student loan can make you feel good. You might be knocking off a chunk of your principal and avoiding some interest from piling up. Paying off high interest loans first is a known debt payment technique called the avalanche method and may help you manage your debt better. However, things don’t always go as planned. Great Lakes has a rule, like all federal loan servicers, that “after all interest is satisfied” any extra payments borrowers make will be applied to the loan with the highest interest rate. However, many borrowers claim that when they paid more than their required payment, Great Lakes did not follow through on this claim. The money was applied to the wrong loan. When they called, emailed, or wrote letters to inform Great Lakes that they wanted the extra payments to be applied to the high interest loans, the payments were still misapplied. One borrower on the CFPB website wanted to pay off a specific loan in full and specified as such, but the money was still applied to the wrong loan. These good faith efforts of borrowers to get ahead on their loans and quickly pay down the loans with the highest interest seem to be rewarded with misdirection and confusion. You can do your best to prevent the problem by logging into your account and seeing if the right payment application method is selected. However, that isn’t a guarantee things will be done right. In fact, you may even need to get a student loan debt lawyer involved to help you sort out the mess. Auto-pay seems like a good idea for the busy borrower, right? Set and forget. It’s a great idea for servicers too because auto-pay is the closest they can get to guaranteed payments. Most servicers reward borrowers with reduced interest as long as they are in auto-pay — Great Lakes offers a 0.25% interest rate reduction. That’s even more incentive to set up auto pay for someone who tends to forget to pay their bills. However, several borrowers have posted complaints about Great Lakes inexplicably turning off the auto-pay, causing them to miss a payment and lose their interest discount. The reason was not clear for this sudden switch. Again, this seems like a good faith effort to pay back loans is being punished. For the many people who can’t afford their payments, enrolling in the right payment plan can mean the world. Especially if they are in danger of defaulting. But when their servicer makes a mistake when placing them in a plan, it can be disastrous. Unfortunately, this has happened more than once at Great Lakes. Borrowers relate how they received notices that they were in a different payment plan or payment status than they had asked to be in. One borrower claims she was merely browsing her payment plan options online, decided to stick with the one she currently had, and left it at that. She was surprised when she later found out Great Lakes was processing a payment plan switch that she never asked for. 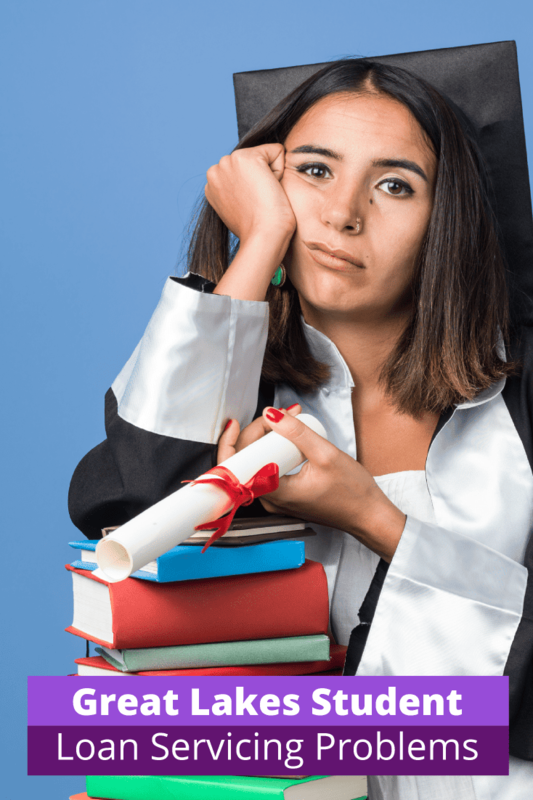 Several borrowers claim to be put into forbearance for months on end because their income-based repayment plan applications took so long to be processed, which is the subject of our next point. Many complaints are from consumers who applied for an IDR plan only to wait many months for a result, if any came at all. When the IDR applicants called Great Lakes to check on the situations, answers from representatives were evasive. Some borrowers re-applied, hoping for a result, but still nothing happened. One borrower was facing the capitalization of the interest on his loan. Capitalization is when the interest on the loan gets added to the principal. The borrower was told if he applied for an IDR by a certain deadline, the capitalization wouldn’t happen. He applied by the deadline, but the interest was still capitalized. When he contacted Great Lakes to inquire, they told him his IDR application had to be processed by the deadline for his capitalization to be avoided, which it had not been. This is unfair to the borrower not just because the processing time could be lengthy, but because the borrower has no control over it. When the complaints were filed most of these issues were unresolved, so it’s hard to tell if or when these IDR applications were ever processed. A credit report can change your whole life. It affects your ability to buy a car or a home. It may affect your ability to rent an apartment or even get a job. A bad mark on your report is upsetting; however, a bad mark on your report that is false might be even more so. Several borrowers claim that Great Lakes falsely reported delinquency or default to the credit agencies, messing up their credit scores — sometimes severely. These borrowers, whose loans are in good standing, often feel punished for their good behavior. Sometimes a false report doesn’t just mean bad information about your loan. Sometimes it means information is on your credit report about a loan you never took out. Make sure you are checking your credit report at least once a year. Learn about 3 ways that you can get a free credit score and report. Perhaps the most unsettling complaints are about attempts by Great Lakes — or their contracted collection agencies — to collect on loans that people never took out. While this is not the most common situation, it can be a really distressing one to find yourself in. One person noticed their credit report featured a loan they did not take out. Great Lakes was reporting the loan, but the servicer failed to show adequate information identifying the true borrower of the loan, the complaint said. Another person was contacted at their workplace by a collection agency working on behalf of Great Lakes. The person in question seemed to have the same first and last name as a real borrower, but their middle names differed; it was not the same person. The student loan collection agency contacted several times and, despite being informed it was not the right person, began to garnish wages. Luckily, the matter was eventually settled and the person was taken out of collections. If you don't want to be at Great Lakes any longer, you don't have a lot of options. However, you can refinance your student loans if it makes sense for you. When you refinance your student loans, you take out a new private student loan to replace your Great Lakes student loans. These loans don't have any of the Federal repayment plan or forgiveness options, but they may have a lower interest rate. If you want to refinance, check out Credible. They are like the Kayak of student loans. You can easily compare your refinance options in minutes. It takes about 2 minutes to see if it's worth it, and you can get up to a $1,000 bonus when you do. Check out Credible here. SoFi - SoFi is one of the most popular student loan lenders. They have competitive rates and terms, and they also offer a bonus of up to $200. Check out SoFi here. ElFi - ElFi is one of the less well known lenders, but they've been around a long time. They have very competitive rates and offer a bonus of up to $350. Check out ElFi here. These stories can be a bit unnerving, but they also may ring true for people who have Great Lakes as a loan servicer. If you find Great Lakes unhelpful, you may want to do your research and find other organizations who can help you figure out your loan situation. Have you used taken out student loans with Great Lakes before? Two weeks ago they incorrectly charged my daughter $1,115.00 of capitalized interest. She tried to discuss the problem with several people and they all told her the same thing, which was incorrect. The “missed” IDR renewal date they were using came out of nowhere. It was only after my daughter and I spent an entire day tracking all email correspondences since the origination of her student loan that we were able to prove that they were incorrect. After reading this article, I contacted them about my student loans. Most of my questions were avoided by the person on the phone. She just wanted to get my paments done. My husband and I have a spousal consolidated loan that has been credited to both our income driven loan repayments. Great Lakes has now said that they can not count the spousal loan towards both of our accounts after we have paid it that way for the past three years. They told us it was a mistake on their part. Now my loan an payment tripled. I confirm that this rule “any extra payments borrowers make will be applied to the loan with the highest interest rate” is literally the opposite of what actually happens. What Great Lakes does instead is attack the loan with the highest amount owed; which for most people is the loan with the lowest interest since the largest loans are generally the lowest interest. The way I’m getting around this is by going through a Forbearance where I’m making double payments and applying every penny towards the loan with the highest percentage. Another option is to pay more than the minimum each month to get the excess money past their money hungry calculations to apply directly to the loan with the highest interest. My boyfriend owes approximately. He was doing auto payments. Then he called to negotiate paying off at a reduced amount. They said they don’t negotiate. The next month auto pay stopped. He didn’t realize until the next month and he had already been reported to credit report. He wants to pay $10k on the $15k but he is affraid it won’t be applied properly. Any advice to assure proper payment application. He can go online to their website and assign the manual payment directly to which loan he wants. They call me every month saying I owe them money but I NEVER took out a loan. All my loans were taken out in my dad’s name so it wouldn’t affect my credit score. I never signed anything and they harass me every month. When I answered last year they told me I owed them money. I told them I never took out their loan and they called me a liar and said I had to pay or else. Well nothing since then has happened but they messed up my credit score since I’m not paying them money I NEVER TOOK OUT. You should check your credit report and see what happened. You also need to have them validate they debt. While it’s annoying that you’re dealing with it, not dealing with it can have you face serious repercussions. If you’re not getting anywhere, consider speaking to a student loan attorney. I overpaid by nearly 1,200 dollars back in May do to a bill pay error. They claimed it would take 30 days to return back to my account. Its the end of August now and they still find excuses every day not to send the money back to me. Company is a scam. I did not choose Great lakes for my loan carrier I was assigned them though studentloan.gov. I’m very worried about my NEW loan based on info above. Is there anyway I can have the loan moved to another company and if so how? No, you don’t get to choose your loan servicer. There are reasons why your loan servicer may change. For example, if you apply for PSLF, your loans will go to FedLoan who handles that. I don’t know how I got Great Lakes as well. I’m still in school and they already placed none payment on my credit score. I have all kinds of people texting me say I can do the forgiveness loan, I started out with a SallieMae loan. Now and how I ended up with Great Lakes I have no clue. But they say SallieMae is forgiving my loan to call but I don’t know if it’s true or not! How can I find out? Second, if you are in school, Great Lakes may not know. You need to contact them and setup an in-school deferment. Great Lakes has recently more than quadrupled my loan payment with no explanation I can not pay what they want and now they are saying my nursing license will be taken away along with my livelihood and there seems to be no help for me I’m so mad and sad. Were you on an income-driven repayment plan? Did you fail to re-certify your income on time. We usually see this when your IDR plan is up for renewal, and you miss it, then you default back to the standard repayment plan. Yes on the income driven, I have done everything as they asked as far as paperwork, I can not afford them and rent both as both payments are up over 1,200.00 is there any help to be had anywhere or should I just let it all go? You didn’t answer the question though – did you re-certify your income? The only way a student loan payment on an IDR plan would jump up to $1,200 is if your income is if you’re making over $100,000 per year or so. If you got on an IDR plan a while ago but failed to re-certify, your payment changes to the standard 10 year plan, which is what usually happens in scenarios like you’re describing. I have been in my repayment period for literally over a decade and I am not making any progress on paying off my loans. I have been calling and emailing My Great Lakes for years to get someone to take my paid ahead monies, approximately $8k, and apply it to the principle. On the phone they state they do not, cannot, will not take that paid ahead money and apply it to the principle. Via email the representatives tell me I can allocate the money how I want but the links they provide just take you to an area where you make a payment. I have 2 loans; I can decide if one loan gets 60% of the payment and the other loan gets 40%. Supposedly they send me links to the page where I can apply excess to the principle. There is literally no way to do it yourself and they will not help you. You can make extra principal payments on their website. You have to go to the website, select your loan to make a payment, and then select extra principal payment. I am never going to take out more loans from Great Lakes. After I pay off my current debt to them, if I ever get loans to pay for future higher education, none will not be from them. I don’t need to do business with a corporation that holds me in contempt and disrespects me every step of the way. They do not apply excess payments (meaning any payment above the autopay minimum) as I specified both using their site and with the 3 letters I have sent to direct them to apply as I specify. I want to make excess payments and direct it at the loan section with the smaller balance but they refuse to follow my instructions. They now claim that the ONLY TIME I can make an excess payment and have it apply as I specify is if I add the amount to my autopay amount so that it will come through at the exact same time as the autopay. But if I make an excess payment at any time other than that, apparently they can only process that as payment toward the next billing cycle. It’s insane. I am awaiting word back from them about this. I am also waiting for my new payment schedule on my recertified IDR. Which I am now paranoid they won’t process and will captialize my interest. They are horrid. I would switch to a private lender but I am afraid that I’ll need the IDR. I am not sure how to determine what to do. Or how to force them to apply my excess payments correctly. When making extra payments, don’t just send it more money. There is no “letter you can send to direct payments as you specify”. If you want to make an extra payment, the proper way to do it (easily) is to simply go online to their website, select the loan, and make a one-time payment on the loan you want to pay. Otherwise, you end up in pay ahead status like you are realizing.